Because smoothies aren’t just for summer! 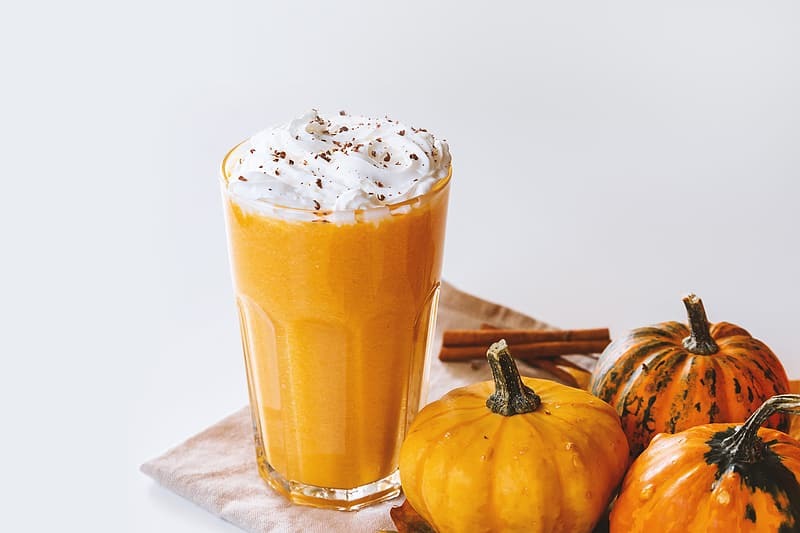 This Skinny Pumpkin-Nog Smoothie is the perfect light and refreshing smoothie for the holidays! Over the years I’ve grown to like egg nog. Before I met my husband I hand’t even tried it. It just sounded awful and I didn’t like the smell of it. Then I met Brett and he loved the stuff. He’d chug a gallon of it all by himself. Granted, those were his football-playing days and he was always trying to gain weight. Now, he’ll only drink the light stuff. It’s not as strong, which I actually like. This Pumpkin-Nog smoothie is right up my alley though. It’s a little bit egg-noggy and a little bit pumpkin-y. 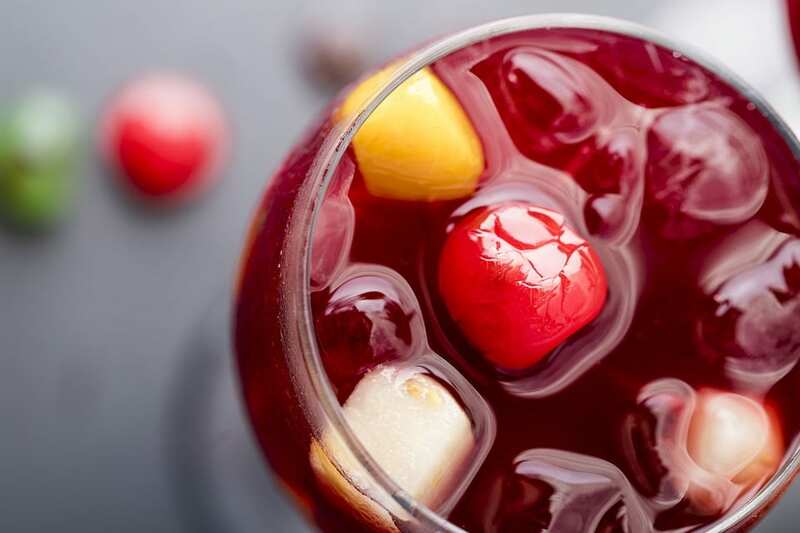 Perfectly sweet and refreshing and a guilt free holiday treat to enjoy. You know, to balance out all of the pie, cookies, and fudge we’ll eat! I whipped this baby up in my new Hamilton Beach Smoothie Smart Blender. Push that little “auto smoothie” button and you’ve got a perfect smoothie in 45 seconds. Every single time. And look at those other fun options. I love mine! Hamilton Beach is giving away a Smoothie Smart Blender + a Single-Serve Blender (perfect for shakes and smoothies on the go!) to one reader! Just enter the rafflecopter below to enter! guilt free and delicious pumpkin-nog smoothie, the perfect light and refreshing holiday treat! Place everything in your blender and blend until smooth and frothy! Top with a little whipped cream and a sprinkle of pumpkin pie spice and serve! Oh my goodness, pumpkin and eggnog is such a brilliant combo. I’m not the biggest eggnog person but I think I’d go crazy for this! Just a regular banana and strawberry one. I keep meaning to make one with peanut butter but haven’t yet. I love using frozen raspberries, blueberries, oj and plain yogurt. Nice and tart! anything with frozen banana and peanut butter! My favorite smoothie is greek yogurt, a bit of instant maple & brown sugar instant oatmeal, berries, banana, pineapple nectar, and whatever else I feel like throwing in. Anything with banana! Hope I win! Pumpkin smoothies and green smoothies are my favorite! I like smoothies with bananas, yogurt, and bananas. Mango pineapple smoothies are my fave! My favorite smoothie is a pumpkin pie protein smoothie with vanilla protein powder, pumpkin, pumpkin pie spice, frozen banana, oats, and almond milk. I never thought of combining pumpkin with egg nog, though! This sounds delicious!